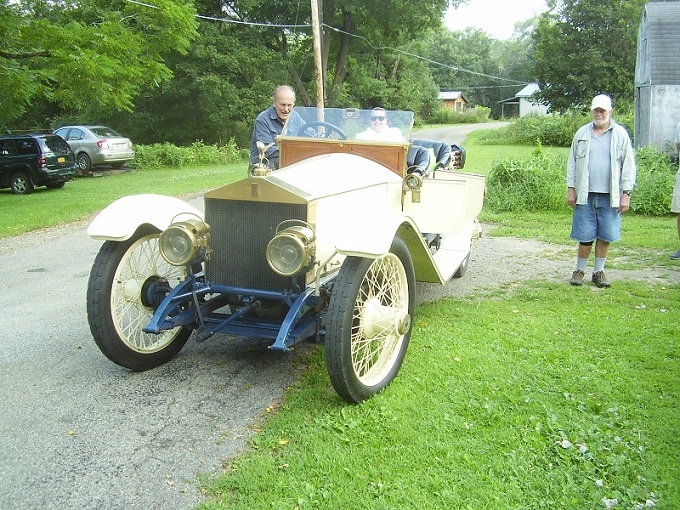 Got one this morning when Bob & Jill Barrett with two of their friends dropped by my shop in their 1913 Rolls. What Don said, very cool !! I just love it that people with such nice and valuable cars actually drive them. It gives pleasure to lots of folks to see something like this going by. Wish I could have posted a recording of the 14 note full chromatic exhaust whistle! R.V., I think maybe Don Booth has a video of the whistle at the OCF a couple years ago?